With Everland and Umberland both destroyed, the survivors have taken refuge in a small village tucked within the shadows of the Bloodred Queen's castle. Doc has found an actual cure for the Horologia virus, while Gwen, Pete, and Alyssa begin plotting the assassination of the queen with the help of Gail, an excellent huntress. But killing the queen won't be enough. The world has been destroyed and its needs a ruler to set things right again. A ruler who is good, kind, and fair. Someone like the former king of Germany. But he's dead ... or is he? There's a rumor that the king has been hidden away in a secret land, where only the worthiest can find him. Desperate to end the war, a plan is hatched that could put everything right again, only before it's set in motion, the village is burned to the ground, all survivors taken prisoner to the castle. Except Gail. For signed copies, please contact Towne Center Books at (925) 846-8826. "An unpredictable page-turner spun with dread, humor, and unexpected alliances." "Dark in tone, desperate in intensity . . ."
"In an exemplary debut, Spinale uses Gwen and Hook's voices to offer glimpses into the psyche of a man desperate to please his cruel mother and a girl intent on saving the only family she has left. This is a magical, wondrous treat, with a conclusion that's nothing less than epic." 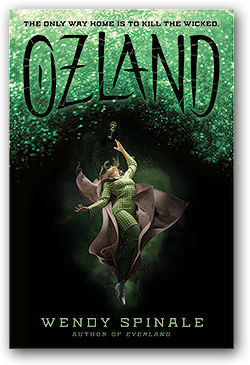 "Peter Pan goes steampunk in this debut, which twists the familiar tale into a survival story complete with well-drawn characters, a blistering plot, and plenty of adventure. Readers unfamiliar with the source material will still appreciate the constant threat of danger pursuing Peter and Gwen and their charges. 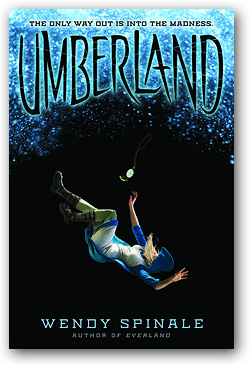 Fans of Scott Westerfeld and A. G. Howard will clamor for more from this author." "The novel is a fun and unique addition to the twisted fairy-tale genre, loaded with adventure, romance, and double crossing. 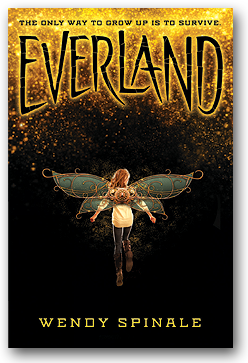 The characters are sassy and charismatic adaptations of beloved favorites, with Spinale adding equally mesmerizing backstories leaving readers wanting more.... Everland is a compelling adventure. Spinale's novel is a creative and action-packed reimagining of a classic... will hold mass appeal for fans of similar novels." "Fans of the original J. M. Barrie play or novel will find most of key elements here, recast in intriguing ways and apropos for young adult readers. The climactic scene takes readers to new levels not explored in Disney and other versions of Barrie's tale." 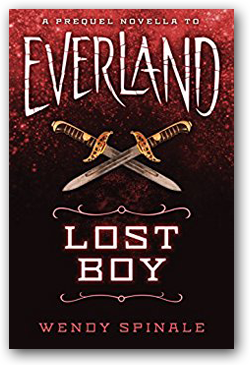 In this dark reimagining of the original Lost Boy, Wendy Spinale weaves a stunning story of courage and heartbreak, loss and redemption as one boy is forced to face his past . . . and his future.